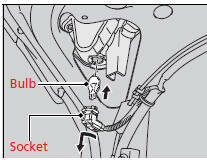 When replacing, use the following bulbs. 1. 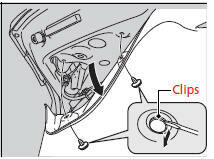 Remove the holding clips using a flat-tip screwdriver, then pull the lining back. 2. Turn the socket to the left and remove it. 3. Remove the old bulb and insert a new bulb.